So much inspiration here! 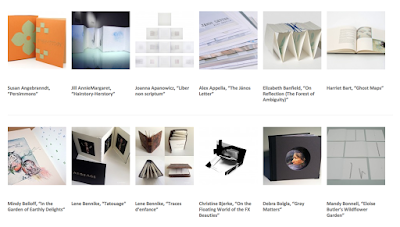 The Minnesota Center for Book Arts has done an amazing job sharing the winners and entries in the 2015 International Artist's Book Award. There are lots of photos, some videos, and detailed description of all the works. I applaud them for making all this available online. and what an exciting selection of books!